If your cactus is beginning to yellow it is often a watering issue, either too much or too little. Depending on the type of cactus you have the watering schedule can vary. 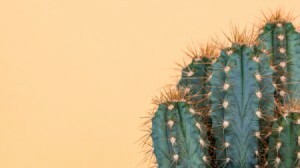 This guide speaks to the question, "Why is my cactus turning yellow?". Question: Why is My Cactus Turning Yellow? I got what I think is a type of barrel cactus from my sister when she passed in November. I put it in a south window, but it started turning yellow. A friend told me to give it more water, now It's really turning yellow. It was my mothers, so its at least 20-30 years old. What can I do? I took some pics to help with my answer. Hi Beth, Your cactus turning yellow can be a sign for quite a few things. Just curious...is there a baby growing off of it? Has it been in the same pot for a long time? The root system might have grown and needs to be repotted. It might be lacking nutrients and a good plant food for cactus might help.Just follow directions on package. Make sure it has the right kind of soil. Cactus need a sandy mixture and good drainage at bottom of pot. Don't over water. Sometimes too much attention to cactus is a bad thing. They are use to being on their own and don't require much water. Yellowing means it's experiencing some kind of stress. You just need to rule out the main reasons and it should revive itself. Good luck! I think (though I may be wrong) that it's getting too much water. I keep killing my cactus because I insist on watering them even if it's only every few weeks. I've read that you should never water them, just spray them once or twice a week with water. Good luck. I actually have some that is living finally, outside, where I completely forget about it. I'm experiencing an issue with my Mammillaria elongata cactus. I've had this plant for about a month and recently it's started to turn yellow. I have it by the windowsill and water it once a week so not sure why it's turning yellow. It sounds like you are over watering. Yellow is usually caused by too much water. 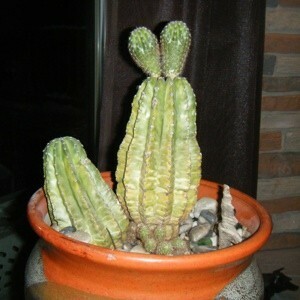 Although my dad, who used to raise various cacti, would have the same yellowing issue if we forgot to water. Most of the time if was too much water though. Most people say to water cacti weekly, but if your home is moist every two weeks works. The trick is NOT to over water...only water so the soil is damp, NOT saturated...think desert like conditions where they thrive. Hope your cacti is well soon!